Fergus and Gregor currently co-present the ‘Story of Scotland’ a highly entertaining show that includes; stories, songs, music - (Bodhran / Scottish small pipes / harmonica / guitar), poetry, readings and the history of their homeland. This show can go anywhere and can be acoustic! Fergus and Gregor currently co present the ‘Story of Scotland’ a highly entertaining show that includes; stories, songs, music - (Bodhran / Scottish small pipes / harmonica / guitar), poetry, readings and the history of their homeland. This show can go anywhere and can be acoustic! Play our video at the top of the page. 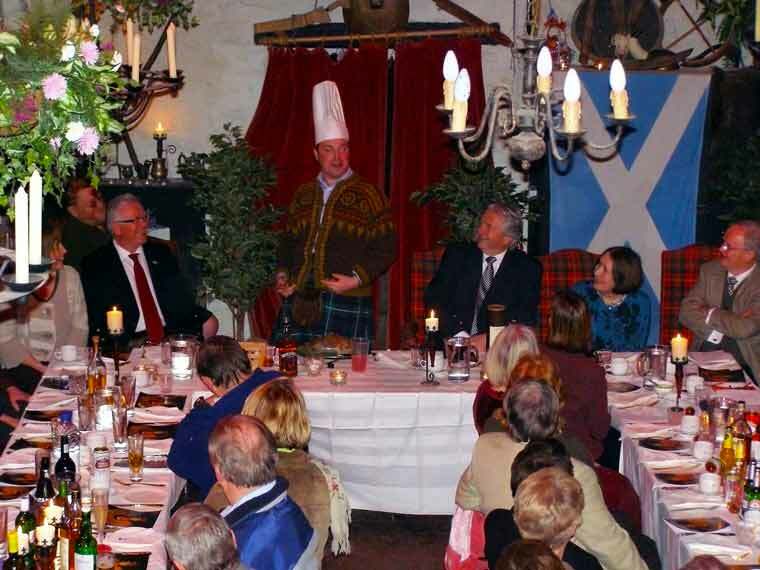 Every year, thousands of gatherings throughout the World meet to commemorate the life and works of Scotland’s National Poet, Robert Burns at an evening of music, speeches, toasts, laughter, traditional food and drink and, most importantly, good company. The Burns Unit is a team of five Scots who bring together all the elements and expertise to make your Burns celebration be it dinner, dance or concert a success. We will provide the core speakers and musicians with support from your local talent. The Burns Unit can bring the World of Burns to your function, whether it be a Burns function, St Andrews or Caledonian event. We are members of other bands which are available for your entertainment all over Scotland playing traditional Ceilidh Dance Music, or Bal Musette, The traditional Cafe Music of Paris. Check out the links below to hear a sample of the bands music. Use the enquiry form on each website if you would like to enquire about booking a band for your special occasion or wedding.